There aren’t too many patterns that I won’t wear. 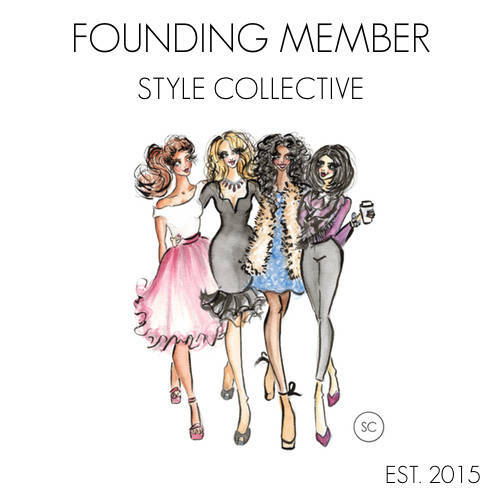 When it comes to style and fashion, I am a complete open book and ready to try anything. 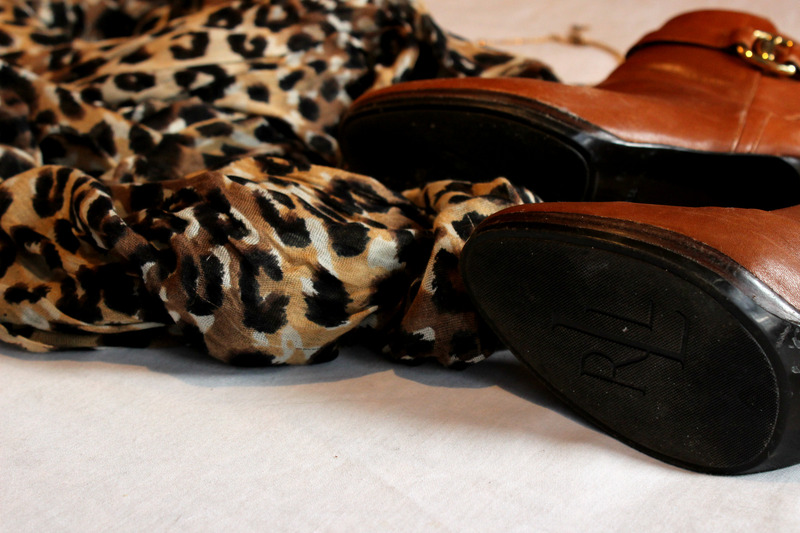 I first caught on to leopard print two years ago when I found the cutest leopard print flats from American Eagle. I just couldn’t pass them up, and when I began to experiment more with the pattern, I became a bit of an addict. Today I want to talk about the best ways to wear the pattern. I am not huge into leopard print statement pieces like dresses, shirts or pants (are there leopard print pants? 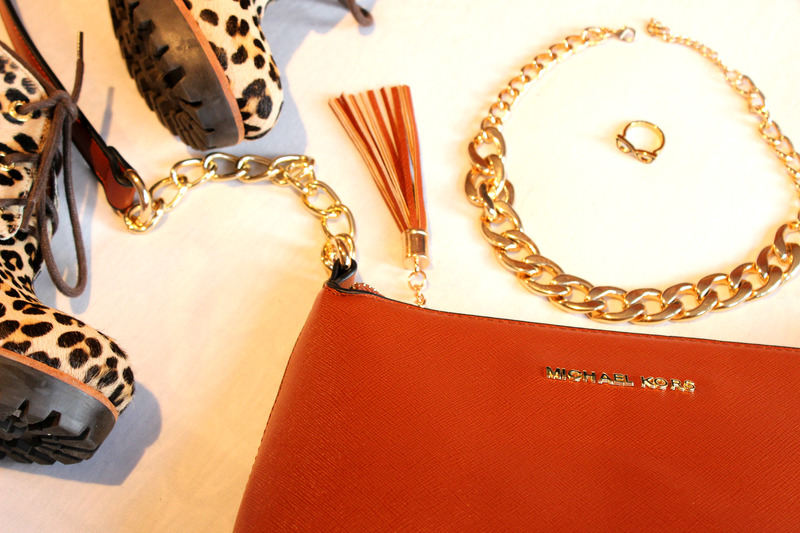 ), but I am all for the leopard accessories! 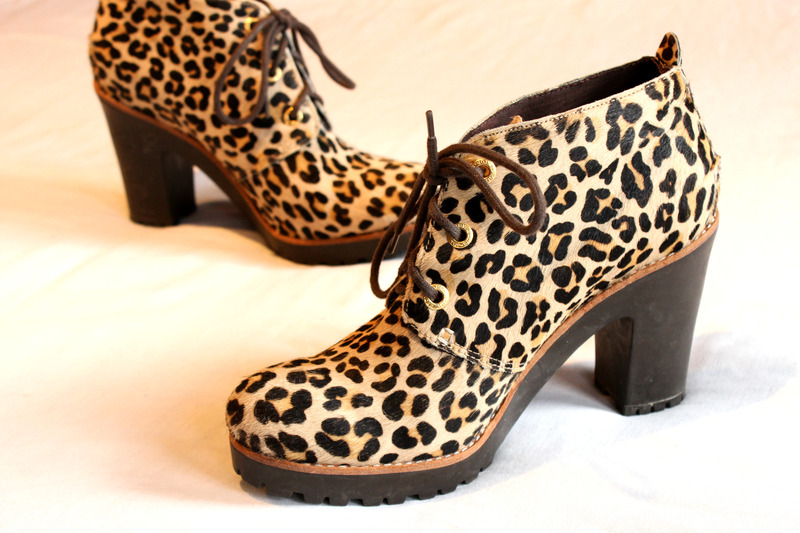 Leopard print is a very warm pattern, which is why I tend to stick to warm, earthy tones to pair the pattern with. In the case of leopard print shoes or booties, I am a huge fan of pairing the shoe with gold based jewelry and the colour cognac. It is probably one of my favourite combinations. 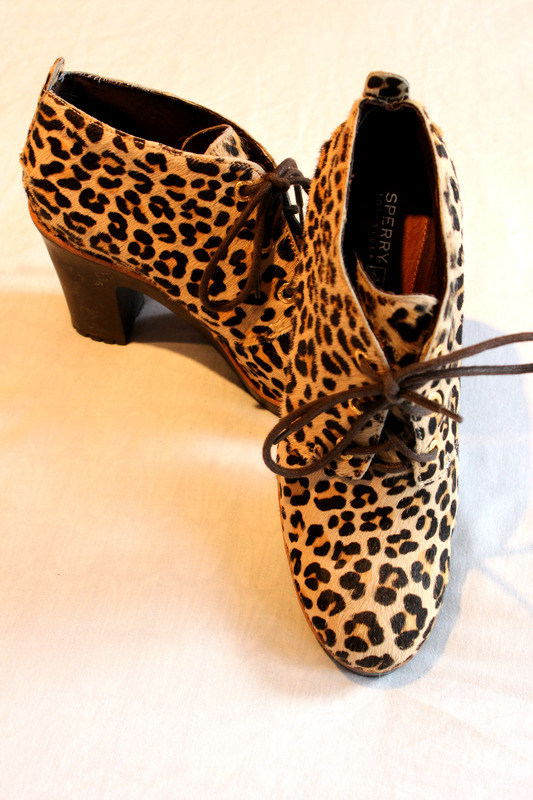 I picked up these booties at a consignment store brand new in my area, but they are Sperry Topsider. I love them paired with my gold link necklace (Icing Stores), gold based glasses ring (Kate Spade New York) and to top the look off, my cognac shoulder bag (Michael Kors). Using cognac as a main colour to pair with the print worked perfectly in the case of these Sperry Topsider booties since the trim between the tread and pattern is a close-cognac shade. Before this year, I really wasn’t into hats. I started getting into fashion hats, beanies and baseball caps at the beginning of this school year. 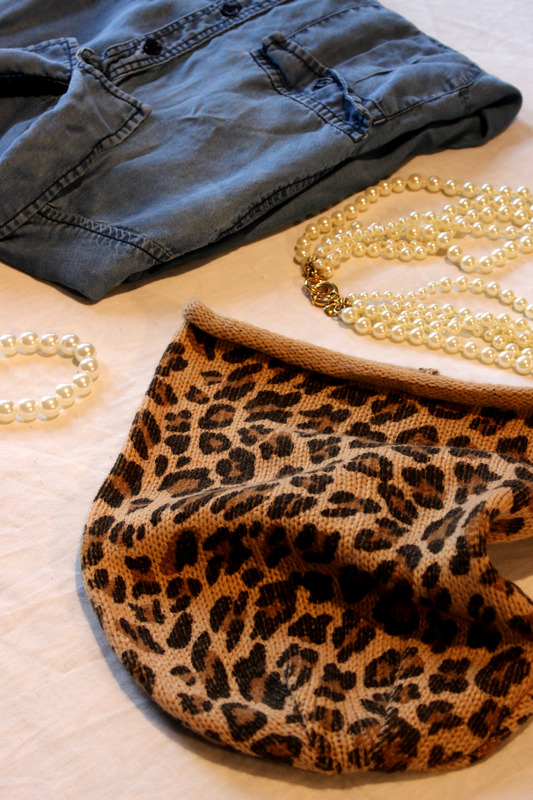 This leopard beanie (D&Y) is the perfect printed accessory to spruce up any look. 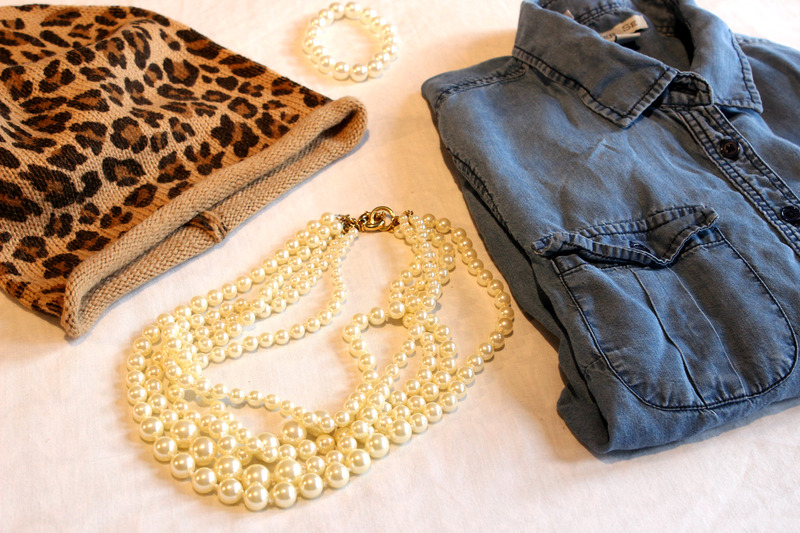 Pairing the blue chambray with the leopard print really contrasts the two fabrics. Not only are you contrasting the knit with and chambray, but you are contrasting the print with the solid – makes for a great pair. This leopard beanie is my favourite hat right now (next to my university baseball cap, that is). I ordered it off Amazon but it is sold by D&Y. It sits perfectly on my head and is actually really comfortable. 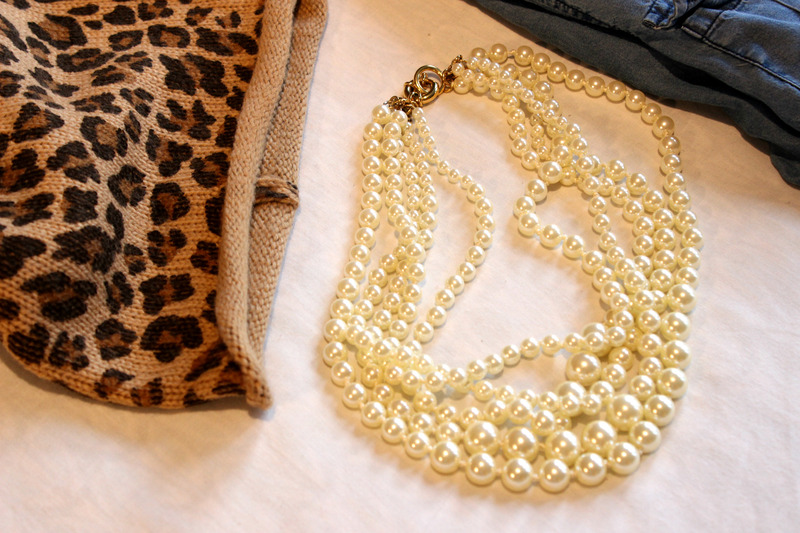 The multi-strand of pearls is from J.Crew Factory – this accessory is pretty much a staple for me. I picked up the blue chambray button up at my local Marshalls last year. They always have a great selection! Like I said, leopard print goes really well with cognac and gold accents. 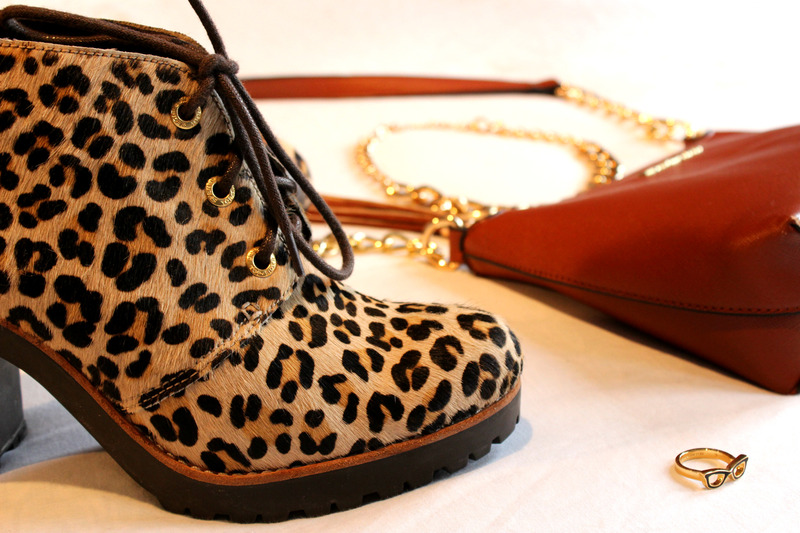 Here, I have flipped the look from above – leopard is now shown in the main accessory, and cognac is accenting in the boot. 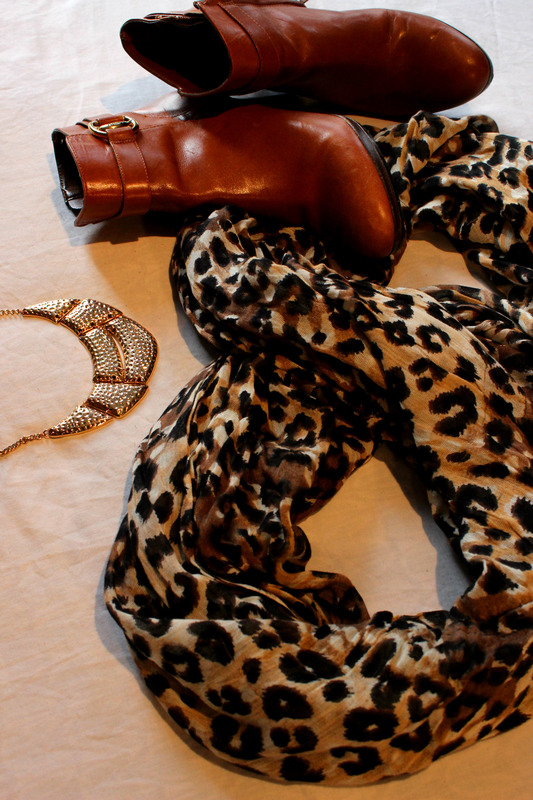 Gold is used to compliment both the print and the cognac boot throw the gold accents on the boot and in the necklace. 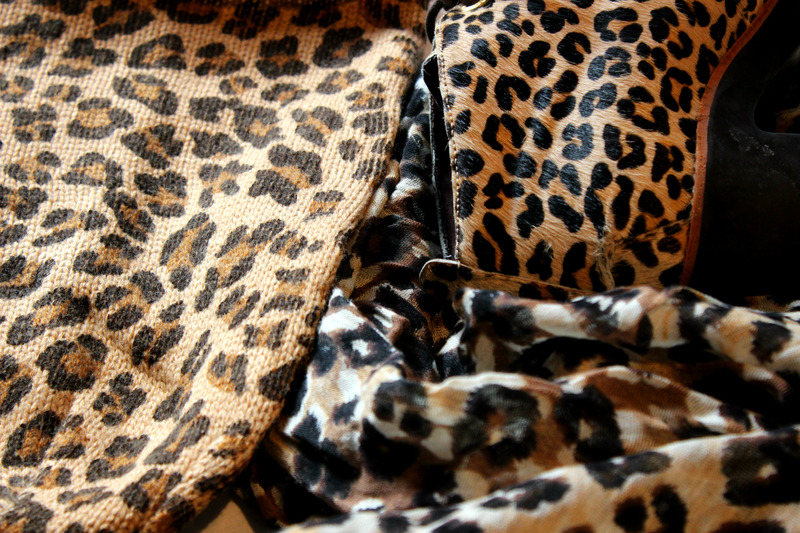 This is my one and only leopard print scarf and I love it (Charlotte Russe). 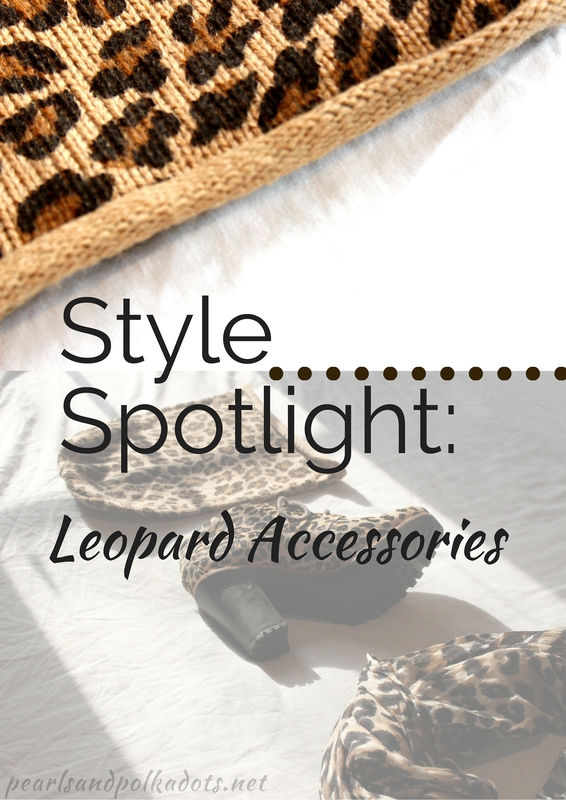 I got it a couple of years ago and it is my go-to when it comes to my fave leopard accessories. The boots are Ralph Lauren booties from a couple years ago. These were kind of bought on a whim because it was a half of sale at The Bay and so I had to take advantage. The necklace is from my fave accessory palace, Icing Stores. Leopard accessories are my favourite. These are three of the ways that I love to wear the pattern, but there are so many other ways you can wear it. It’s always best to make the leopard print your focus in an outfit. It is a very loud pattern, and although it is not against the rules to pattern mix with this print, I love to make it the focal point of any look that I am sporting. Next Post Holiday Ring Guide to Sparkle You Up!